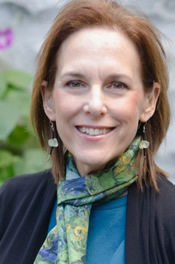 Lauren C. Berman, MSW, LICSW is the Director of Social Work for the LEND program and coordinates community based field placements. She began working at Children's in 1983 and has worked in various hospital services including intellectual developmental disabilities, hematology, genetic disorders, and failure to thrive. Prior to Children's she worked as a clinical social worker, placing children with special needs in adoptive homes. She also worked as a special education teacher in the Boston Public Schools and as workshop director at Fernald State School where she helped transition adults with disabilities into community work settings. Lauren taught for 10 years at Boston University School of Social Work and for 3 years in the Simmons College Graduate Nurse Practitioner program. Lauren also has a psychotherapy practice in Cambridge, where she provides services for individuals, couples, and families using an eclectic approach combining strength’s-based, narrative, solution focused, relational, and family systems concepts. Her specialties included working with people in transition, dealing with chronic illness/disabilities, family and couple's therapy, divorce and remarriage, and career/academic issues. Award of Excellence for Outstanding Contributions in Infant Parent Field, Boston Institute for the Development of Infants and Parents, 1987.